Back in September, the world lost baseball legend Yogi Berra who lived to the ripe olf age of 90. Berra wasn’t only known for his amazing ability on the baseball field that lead to him winning 10 World Series titles with the Yankees, he also had an incredible sense of humor. 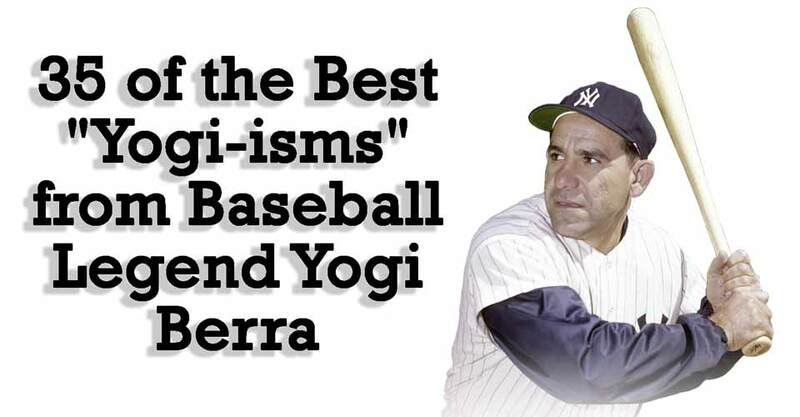 Throughout his life, he was quoted saying what became known as “Yogi-isms”. At first glance they seem just like a little one-liner in passing, sometimes even with what seems like a misspoken word. But at second glance, you can see the wisdom in a Yogi-ism that is just under the surface. They make you think twice, and open your eyes. You will be missed, Mr. Berra. I’m lucky. Usually you’re dead to get your own museum, but I’m still alive to see mine. If I didn’t make it in baseball, I won’t have made it workin’. I didn’t like to work.